AB: I feel that a sustainable Cobourg is very important, as I am a father of 3, and care that we leave this world better for our future generations. I support your organization’s Bicycle Action Committee, and making sure that when developing or improving Cobourg’s infrastructure, we are sure to include bicycle lanes as well as adequate accessible sidewalks for pedestrians. I am very interested in renewable energy sources such as the use of solar panels, windmills, or geothermal, as an alternative. I don’t feel comfortable making promises that I can achieve obtaining such things for Cobourg prior to being in the council position and being more aware of what control I would have, but I definitely support bringing those into Cobourg if we are able to include it into the budget. I am currently looking into getting solar panels for my own home. I also support the use of more sustainable building materials, like bamboo. 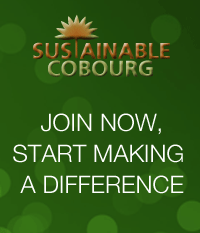 Part of creating a sustainable Cobourg is not only changing the actions that we ourselves are taking, but to go into the schools and educate our children about the importance of recycling and conserving energy by shutting off water when not in use, and only using lights when necessary, for example. I hope this answers some of your questions appropriately, I’m sorry I don’t have exact plans and timelines of execution, but know that your organization does have my support and I have signed the Active Transportation pledge.